Welcome to Hodgson Light and Log’s New Website! As our site’s regular visitors have probably noticed, Hodgson Light and Log has put together a newly renovated website. Our previous site was extremely dated and did not capture the spirit of our showroom and store, so we decided it was time to change that. The first things you will notice on our homepage are the gorgeous alternating banners at the top of the page and new, gorgeous color scheme. We wanted to showcase some of our amazing products in the color and quality they deserve. A change you may not notice if you’re on a desktop computer is the fact that we have gone mobile responsive. What that means to you is that you will be able to view all pages of our new website correctly no matter what device or screen size you are using. This is an absolute necessity in the year 2017 since almost everyone has a smart phone. Whether you’re a returning customer or a newcomer, we encourage you to click through our whole site. 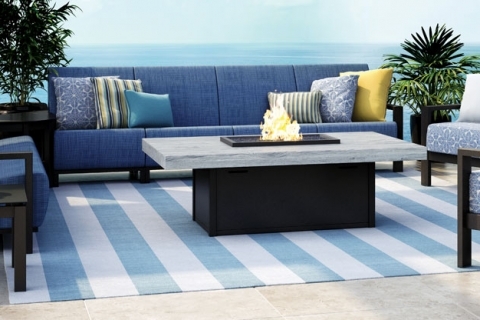 Each one of our main product categories has its own page and is laid out as a brochure – whether you’re looking for lighting, fireplaces and stoves, patio furniture, lamps, patio umbrellas, ceiling fans, or decorative docks – you can view some photos and read a description for anything. If you are looking for inspiration, check out our ‘gallery of ideas.’ If you have any questions or comments, do not hesitate to reach out to us via our contact form on our contact page! At Hodgson Light and Log, we have served the Kalamazoo, Portage, and surrounding areas for over eighty years. In that time, we have formed many lasting relationships with our customers and the community – and our proud of our team and the products we offer. Stop down to Hodgson Light and Log today and take a look at our showroom full of lighting, ceiling fans, and patio furniture in Kalamazoo.